Buying your new home or investment property is one of the most important investments you will make in your lifetime. How do you know you’re not buying a house full of termites? 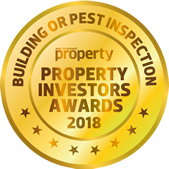 Our highly skilled and qualified contractors provide you with a specialised Pre-purchase Timber Pest Inspection service dedicated to new property purchases ensuring you don’t buy termites. How does this service differ from a standard pest inspection? Standard pest inspections only check and report on termites alone. We will ensure that you are armed with the knowledge to purchase your next property with complete confidence. Pre-purchase Timber Pest Inspections inspect and report on termites, borers and fungal decay according to Australian Standards 43439.3-2010. Termites cause over $1 billion damage across Australia annually with recent CSIRO studies indicating that as many as 1 in 3 Australian homes have termites active in their yard. Almost every house, including houses with concrete floors, are at risk of a termite infestation. 1 in 5 homes will suffer termite damage during their economic lifetime. The average cost of repairing termite damage is $10,000 but can be a lot more – and that’s NOT including the cost of the termite treatment. (Source: Pacific International Insurance Ltd – the pest industry insurers). Most building insurance companies do not cover you for termite damage. Termites are silent, secretive invaders. Most damage is invisible. Located throughout the Adelaide metropolitan, Adelaide Hills, Murraylands and Fleurieu areas, let our qualified Pest Inspectors take the guess work out of buying your next home.